Well not much to tell you, except it was an absolutely gorgeous weekend here on Plum Island. Though there were very few fish taken, I think the weather made up for it. Hope all you “buggy” people enjoyed it, just going to get colder from here on out. I did hear of a few stripers taken. The Kelly Boys came back Sunday night before heading home. 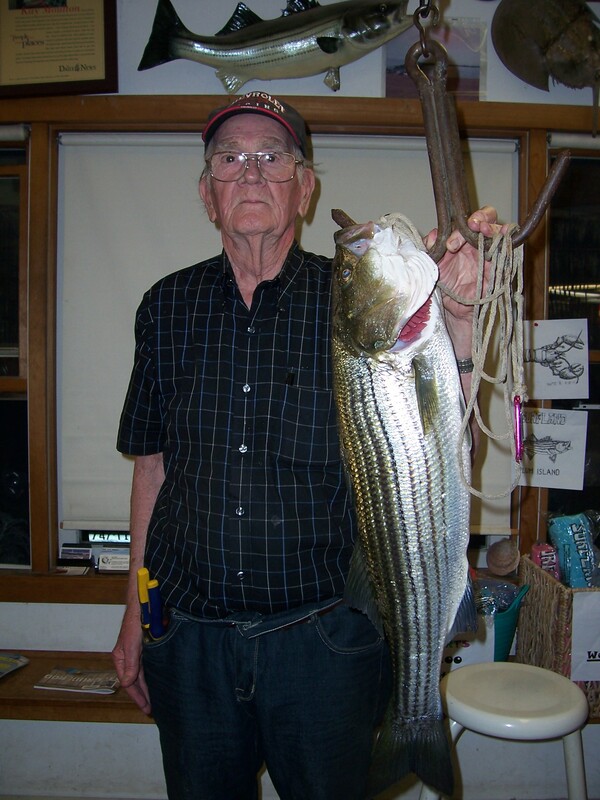 Andy got a 22″ and a 30″ striper on worms. Poor Tommy got skunked. And speaking of skates…………”Skate Slayer” is passing on the family tradition to his father-in-law, Paul. Word is he got a few of those creatures. But, “Skate Slayer” was even shunned by the pesky things. We had Bill Page and his gang in this weekend. On the 9th Bill caught a 12-9 from the oceanfront using worms. So, maybe, hopefully they just haven’t arrived yet. 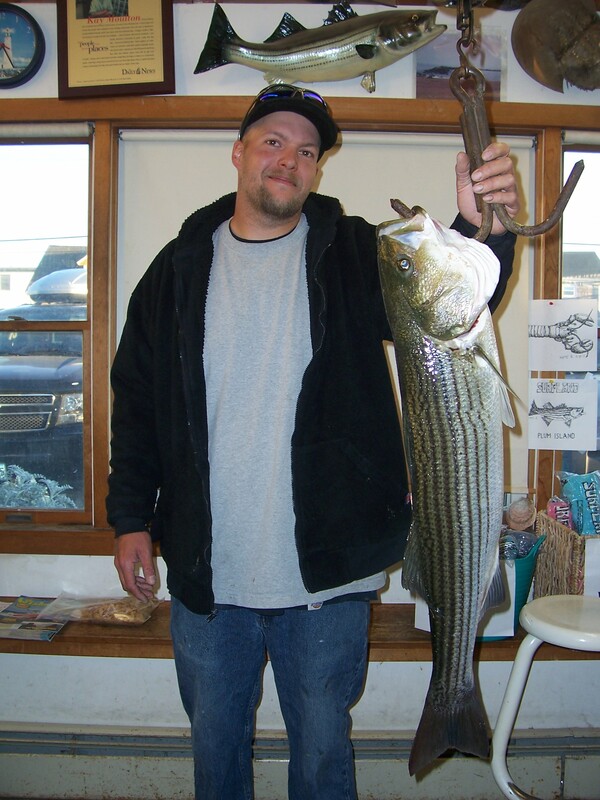 Don’t give up the ship….just had a fisherman in from the refuge(11th), He caught some 19″-24″ schoolies this morning. Also in on the 9th was Stan Brown with a 9 pounder he caught, are you ready………………………………….in the river! Well, guess there is still some fish crusing in and out of the mouth with the tide. And, for those of you that know Boston Harbor……………..Boston Dave just called in his report. He has been on the water since 6am and just got out about noon. LOADED with Pogies! The bass and blues were going “bunkers” for them. There biggest was a 45 pounder. Well it is nice to know that the fish are somewhere close if they are not along the oceanfront. I do believe the best is yet to come and the season is NOT over. For me….3 days’ of fishing and one skate to show for it..Its looking more and more like the season is over. Another fall run bust. I know some fish still are being caught in Maine so a few may still show up. Blues are gone for the most part as well, at least from the surf.